The eastern state which is known for its mineral wealth, mass poverty and lately denial of multi-billion dollar POSCO project; now aims to improve its reputation among investors. Odisha, from being a mineral exporting state is now fueling its amibition to export value-added goods – all part of Chief Minister Naveen Patnaik's 'Vision 2025' document adopted for the state. With large reserves of bauxite, the state has emerged as the largest aluminium producing state in the country. It also produces almost 40 per cent of the iron ore mined and 20 per cent of the steel produced in the country. "We now are setting up an array of ancillary and downstream industries in the metal sector as the Odisha Planning Board has envisaged investments of Rs 2.5 lakh crore and 30 lakh jobs in the state," said Sanjeev Chopra, principal secretary (industries), Odisha governemnt. "The state will invest in region-wise investment parks, like the Kalinganagar National Investment and Manufacturing Zone, a downstream aluminium park at Angul, a downstream steel park, also at Angul, a stainless steel park in Kalinganagar and others," Chopra told THE WEEK. Chopra's department have planned these industrial parks, housing various processing units, say for smelting, who would receive committed feedstock, for examle iron pellets, from a neighbouring mother plant. This would be accompanied by a world-class infrastructure, including land for industries to set up their townships adjacent to these plants. "A number of industries have shown interest and already some projects have been committed by existing and new investors to the state," Chopra said. Like metals, chemicals and petrochemicals sector would also see formation of similar industrial hub. "For this we are looking at developing the Paradip port region with world-class infrastructure to facilitate investments in processing facilities, ancilliary infrastructure, housing and other external infrastructure needed." Indian Oil Corporation Limited have already agreed to anchor the petrochemical hub in the state and the hub is committed to receive feed stock from IOCL's newly constructed Paradip refinery by the company. Taking advantage of more than 470 kilometre of coastline endowed on the state, it also plans an industrial hub for seafood processing and export. "Other than Kerala, we would be the only state, to have a state-specific policy for the seafood sector," said Chopra. Again, for food processing it is planning to build mega food parks in Rourkela and another location in the state. An exclusive sea food park is soon to be set up at Deras, 75-km inland from Puri coast, again second only to Kerala. Currently, cold storage facilities, pre-processing centre, ice factory, skill development and R&D centre among other things are being set up in a phased manner. Tourism, among other things is also a major revenue earner for the state. "Tourism contributes to about 13 per cent of the state's GDP. We are setting up a training facility and other tourism related courses at a place near Puri," said Chopra, adding that the roaring popularity for Odisha destinations among tourists, both foreign and domestic, have resulted in more jobs in the service sector industry in the past two years. Chopra and his team in Bhubaneshwar are holding talks across the country and also in foreign destinations to popularise Odisha's charm as an investment destination. 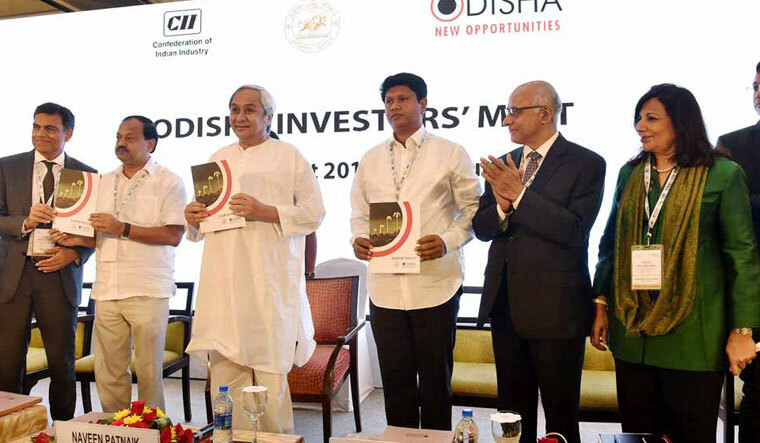 The state would launch a year-long 'Invest Odisha' campaign to draw more investors to the eastern state. "We want to be known as exporter of 'Made in Odisha' goods and exporter of processed raw materials for the downstream industries in the country. Not just raw materials like unprocessed mineral ores," said Chopra.